I am tremendously grateful to Marissa, awesome mom and elementary school teacher, for writing this post I am sharing with you today. Marissa is not a blogger, nor does she have any marketing connections that she is trying to promote. She wrote this post because she wanted to help other parents that were struggling with their kids eating. As you will read, her son Reed, had difficulty transitioning onto table foods. I started working with Reed and his family when he was a little over one year old. Marissa and her husband were completely receptive to all the strategies I recommended and worked hard to follow through on them – not an easy task, I know. The commitment they made to be consistent and patient with Reed over the next 9 months yielded amazing results. 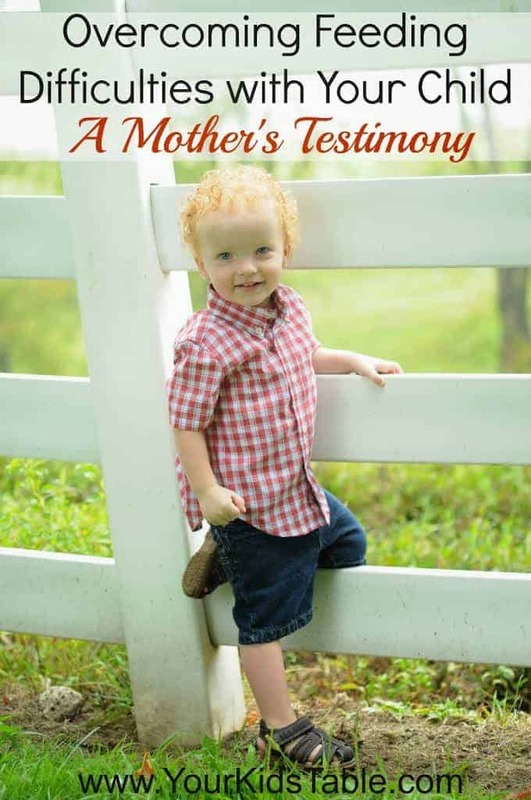 I’m thrilled that she was willing to share their story and it is my hope that it inspires you to take a deep breath, know that you are not alone, and persevere with the strategies you read about here at Your Kid’s Table! When I first realized my son, Reed, had a feeding concern, I was worried beyond belief. I was a teacher myself and I could not teach my own son how to eat! However, with the help of Alisha, in a year (yes, it was slow progress) my son made tremendous growth. Alisha came weekly to our home to offer strategies and family support. She offered so many strategies that when one was not successful or we were ready to move on, she thought of another, and another. She was truly invested in my son and family’s well being. First, Alisha taught me how to teach my son to chew properly using some specific therapeutic aids. Once my son was able to chew successfully, I began to notice a different problem; he would not touch, let alone put, many table foods into his mouth unless it was pureed smooth. He was strictly a crunchy or pureed food kid. Therefore, Reed had a diet of crackers/puffs and pureed food when he should have been completely eating table food. During this time, we also learned that Reed had a severe allergy to all dairy products, however, this did not deter Alisha. She thought of different foods and helped with menu planning, as well as ways of introducing new foods to Reed regardless of his allergy. During this time, mealtime became extremely stressful not only for Reed, but for our whole family. At this time, it became apparent that Reed had deeper problems with eating. 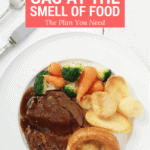 Reed had sensory issues that were greatly impacting his eating. We made a significant breakthrough when we began specifically addressing the sensory component. Alisha suggested the start of using sensory activities, such as sensory bins and sensory play. I began what I refer to as sensory bootcamp. Literally for two plus weeks every night, we did a sensory activity. It varied from finger painting, bath foam, shaving cream, and bubbles in the bath to sensory bins full of various materials. These became not only therapy for Reed, but fun entertainment for the whole family. Alisha had so many suggestions on different bins and activities that would be beneficial for Reed and we did them all. I knew Alisha was on the right track when I made moon dough in a bin, set it on the floor, and Reed’s twin sister jumped right in to play and Reed took one look and literally shook in fear. It was a realization that this was hard for Reed and I had to help him. After 2-3 exposures to the moon dough taking it step by step at the direction of Alisha, he began to hide his own hands in it! After about 2-3 weeks of sensory boot camp, I noticed that Reed no longer cried when food was placed in front of him. He began touching it and even eating it! 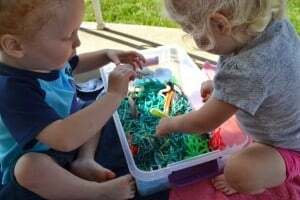 With the help of Alisha, I knew that sensory activities and bins were going to become a part of our life benefiting both of my children tremendously. Additionally, another successful strategy was the use of dipping sauces. Currently, Reed prefers on his plate ketchup, honey mustard, and sweet and sour sauce. Yes, all three dips; however, he will now eat chicken, fish, beef, and pork, as long as he has his dips. Reed will also eat many vegetables with strictly red wine vinegar. I know it sounds strange, but Alisha gave me the encouragement to try these very strange dips and combinations, which all paid off because Reed eats it all! Through feeding therapy, Alisha taught me that it was ok for food combinations not to fit normal standards, because Reed was eating foods leading to a healthy balanced diet, which bottom line was most important. I truly do not know what I would have done without the guidance and support of Alisha. There were so many times I wanted to cry or give up, but Alisha was always there to offer support and help. Alisha taught me about consistency and to try things repeatedly, and I mean repeatedly, and to see the success. To this day, I go back to some of the very first strategies she taught me to encourage Reed to eat new foods and they are still working. I still do sensory activities on a weekly basis, especially if I see some old scared faces reappearing from Reed. Even though Reed is growing older, the strategies being used consistently are not old at all. Looking back as a parent, seeking help and therapy for my child was one of the best things I did not only for my son, but our whole family because meal time is now a wonderful time as family instead of being a stressful daily experience. Alisha’s therapy was truly a blessing to our whole family, but most of all to Reed! State early intervention services (Must be a US citizen). Every state is required to provide a free in home evaluation to children 0-3 years old. Subsequent services are unique to your state. Click though here to for more information. Outpatient services are available in most areas throughout the country through local children’s hospitals or private clinics. These services are typically provided by OT’s like myself or speech therapists. To find services in your area, Google, “Feeding therapy (name of your town/city)”. Don’t hesitate to call around and ask what type of therapy the clinic uses. I offer private consultations via phone, email, or skype. You can find more information by clicking here or the tab in the menu bar. Hi Kumari, please sign up for the free cheat sheet, you should see a bar at the top of the screen. That will be perfect as a starting place, and I also have some more resources you’ll get via email when you sign up. I’d also take a look at the start here button, follow those steps. When you’ve looked there, please let me know if you have more questions. Help I’m beyond scared. My 4 yr old great nephew is so underweight because he never eats. He drinks plenty of everything but only eats corn chips or peanut butter crackers morning day and night. He went thru a stage of eating just chicken fingers then just hamburger patties for almost 2 yrs now just chips for the last 2 weeks. I babysit him and it just breaks my heart cause our small town doc says he’s OK. Well, I disagree because his eyes are sunk in now and he crys his stomach hurts all the time. Any suggestions would be greatly appreciates. Oh my gosh, what a tough situation. Is there anyways you can talk to the parents about driving to get a more thorough evaluation from a pediatric GI? I would strongly recommend that. I would then begin by clicking on eating in the menu bar and having the family implement all of those suggestions. It is difficult to move onto more detailed strategies without those foundational pieces. Let me know if you have more questions or if I can help in other ways. I posted a comment or two on another page on your site, but I’m not sure where 🙂 I wanted to tell you that, per your advice (and my guy feeling that something was not right), I had my 12 month old evaluated through Ohio’s EI program, and at a private practice, and he will start speech/feeding therapy in a week. He currently eats only a handful of dry and crunchy foods, and shivers/gags when he touches anything soft, wet, or juicy, but I am optimistic (on a good day!) that he can overcome this. Thank you again for all of the wonderful advice on your page. I still refer to it regularly and am so glad I found it! That is wonderful, Emeila, thank you so much taking time to stop back and share that comment, it totally made my night! He will overcome this! Especially with a dedicated Mama like you. 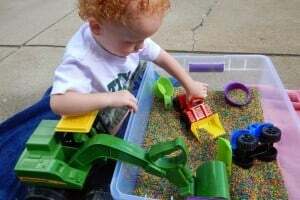 Get those sensory bins going, they will help a ton!